Jaipur: A resurgent Congress wresting power from Bharatiya Janata Party (BJP) in the 2018 Assembly polls in Rajasthan paved the way for young dynasts to don the mantle of their elders to carry forward their legacy. 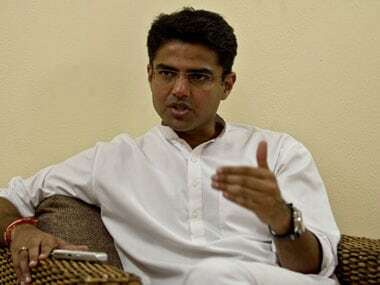 The Grand Old Party, for a long time, didn’t show much interest in the sons of its leaders in Rajasthan and the Deputy Chief Minister, Sachin Pilot— son of the late Union minister Rajesh Pilot — continued to be the only young scion of a political family on top. However, as Lok Sabha elections draw closer, the Rajasthan Pradesh Congress Committee is banking on sons of two veteran leaders — Rajasthan chief minister Ashok Gehlot and former Union minister Jaswant Singh — to defeat BJP heavyweights in Jodhpur and Barmer. The success of Vaibhav Gehlot in Jodhpur and Manvendra Singh in Barmer will strengthen the Congress' position. Vaibhav Gehlot, 39, is all set to make his election debut from Jodhpur against senior BJP leader Gajendra Singh Shekhawat, Union Minister of State for Agriculture. In the past 30 years Vaibhav’s father has won the Jodhpur parliamentary seat five times: In 1980, 84, 91, 96 and 98. Now, he has handed over his citadel to his son. 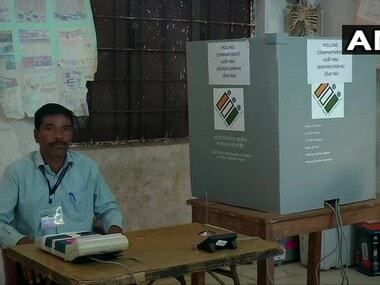 In the 2018 Assembly elections, Congress won six out of eight seats in Jodhpur constituency, slated to go for polls on 29 April. The soft-spoken Vaibhav seems aware that winning his “debut match” on his father’s political turf won’t be a “cakewalk”, but sounds optimistic. “I know it’s not going to be that easy, but I am determined to win my maiden battle with the support of my party workers,” he said. Vaibhav said Congress workers and party leadership have reposed faith in him and he won’t disappoint them. Vaibhav accused his opponent Shekhawat of not living up to the expectations of the public during the past five years. “After winning the election, my first priority will be to expedite the development work in Jodhpur constituency. The present MP couldn’t do much and left the people in lurch,” he claimed. 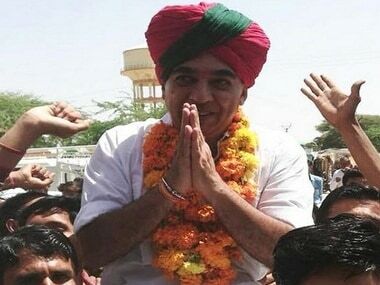 Manvendra Singh — son of the former Union minister and BJP leader Jaswant Singh — a new entrant to the Congress, is in the fray from the Barmer-Jaisalmer seat. Manvendra has fought three elections: Twice on BJP ticket and once as Congress candidate. He won the Barmer-Jaisalmer parliamentary seat on a BJP ticket in 2004, but in the 2009 Lok Sabha polls he was defeated by the Congress candidate Sona Ram. 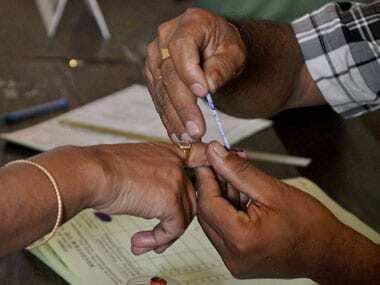 Manvendra contested the 2013 Assembly polls in Rajasthan again on the BJP ticket and won. However, he left the BJP in October 2018 and joined the Congress. Manvendra contested the 2018 Assembly elections on Congress ticket against the former Rajasthan chief minister Vasundhara Raje but lost. Manvendra needs a win to establish himself among the second generation of leaders in the Rajasthan Congress. Manvendra's father Jaswant Singh quit the BJP in 2014 after being denied a ticket to contest the Lok Sabha polls. Jaswant contested as an Independent but failed to win the Barmer-Jaisalmer seat. Jaswant, considered a close aide of the late prime minister Atal Bihar Vajpayee, suffered a serious head injury after a fall at his residence in August 2014. He has since been in a coma. Barmer-Jaisalmer was considered Jaswant's fortress. Jawant enjoyed the supports of Rajput, Muslim and Dalit voters. Senior journalist and political commentator Narayan Bareth claimed both Vaibhav and Manvendra are likely to benefit due to their father's legacies and support base. Bareth said Manvendra must win in order to emerge as the representative of Rajput community in the Grand Old Party, which has been on song in Rajasthan after winning the last Assembly elections. “This will consolidate his position,” Bareth opined. Qazi Nizamuddin, secretary of the All India Congress Committee and former co-in charge of the Rajasthan Congress, claimed that since Rahul has taken over as AICC president, young faces in all the states are being brought to the forefront. 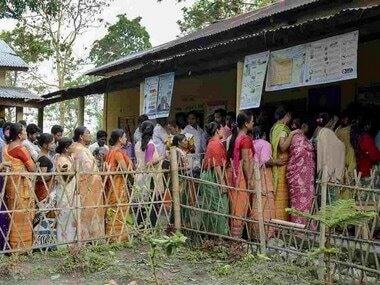 “Workers or office bearers who have performed well are being given a chance to prove their mettle,” he added. Nizamuddin said that Vaibhav worked hard as general secretary of Rajasthan Pradesh Congress Committee. “We are hopeful about him making a place in the heart of the people and winning the elections,” he said, adding that Vaibhav's father enjoys mass support in Jodhpur constituency. Sachin Pilot has emerged as a role model for young leaders in Rajasthan. His late father Rajesh Pilot was one of the Congress' most dynamic leaders. Sachin has carried forward his father's legacy and emerged in his own right as one of the most powerful leaders in Rajasthan. Sachin was handed over the reins of the Rajasthan Pradesh Congress Committee (RPCC) after the party’s debacle in 2014 Lok Sabha polls. Under his leadership, the Congress has seen a resurrection and return to power. After Congress won the 2018 Assembly polls in Rajasthan, Sachin emerged as a top contender for the chief minister’s post. But the Congress high command chose the old hand Ashok Gehlot. Sachin expressed dismay over the decision, following which his supporters hit the streets. He was reportedly pacified by top Congress leaders and was awarded with the post of deputy chief minister. Sachin has no equal among second generation leaders. While Vaibhav has been an active member of Congress for the past 15 years and held important positions, when it comes to campaigning he is still finding his footing. Victories by Vaibhav and Manvedra will allow the Rajasthan Congress to add to their tally of young turks.